When the IRS is unsuccessful in their attempts to collect outstanding back taxes, they often resort to harsh means like a tax lien or tax levy to recover their money. If you’ve received a notice of a federal tax lien or levy, don’t delay, call Stuart C Hill Jr., CPA, PLLC today at 817-332-3320. We can work out a deal with the IRS to pay off your tax debt over time, before they come after your property and assets. We work with business owners and individuals throughout the Fort Worth, TX area and are ready to assist you now. Tax liens are typically attached to real estate. A lien can be attached to both private properties and business properties. When a public Notice of Federal Tax Lien is issued on a property, this alerts creditors that the government has a legal right to that particular property. The IRS doesn’t actually seize the property, but uses the lien as collateral for the tax debt. If the lien is on a business property, it can include accounts receivable and will remain in place even if you file for bankruptcy. A tax lien is very serious because it’s public and will impact your credit score if you don’t act quickly to have the lien withdrawn. If you fail to take action, a lien could prevent you from securing financing you may need to buy a car or get a mortgage. 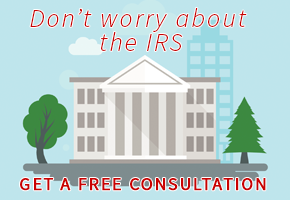 The IRS can issue a Notice of Intent to Levy then freeze your bank account 30 days later. The IRS can garnish a percentage of an employee's paycheck each week until their tax debt is paid. The IRS goes after independent contractors by seizing an entire check owed to them. Pensions, profit sharing, stock bonus plans, and IRAs can all be levied by the IRS.